Since the late 1800's, the Farm has served as a place peace and tranquility and has welcomed families and friends to experience nature in its rawest form. More recently, thousands of people have been our guests for reunions, weddings, corporate retreats, and church gatherings. Bogle Farm is a charming, rustic "Destination Farm" venue that offers multiple on-site locations for multiple types of events, and can accommodate for up to 300 guests. 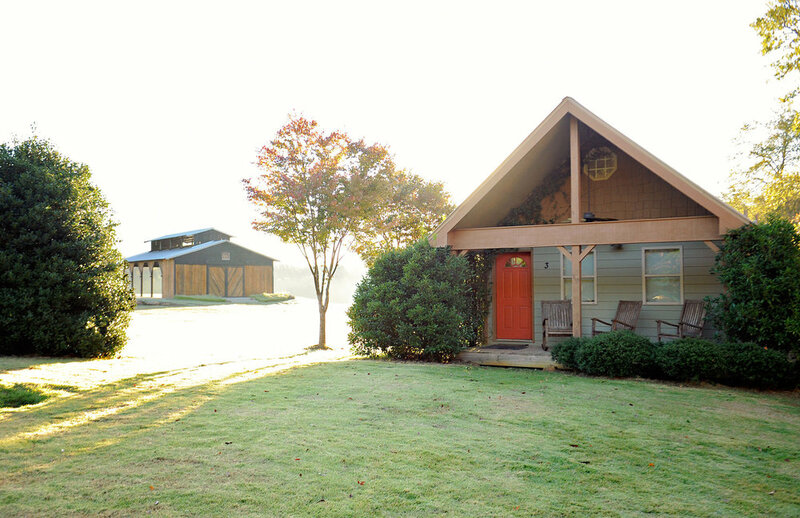 With ample parking, restroom facilities, over-night accommodation packages, accessibility to the Atlanta airport and major interstate highways (I-85, I-75, I-20), the Farm is the perfect place for friends and families to gather to make memories that will last a lifetime. Church pews have been used for hundreds of years, but in today's wedding world- they are quite a commodity! Bogle Farm is excited to offer their bride's beautiful church pews, but these take beauty to a whole new level! Wedding Celebrations are fundamentally about the people; your best friends and family together in one place. Increasingly, brides and grooms are choosing a destination, a specific place, where everyone can gather together and enjoy the venues and accommodations in a single location. Read more to find out why you should choose this option!